Bethel Assembly is a Fellowship of Christian Assemblies church located in Fosston, MN. 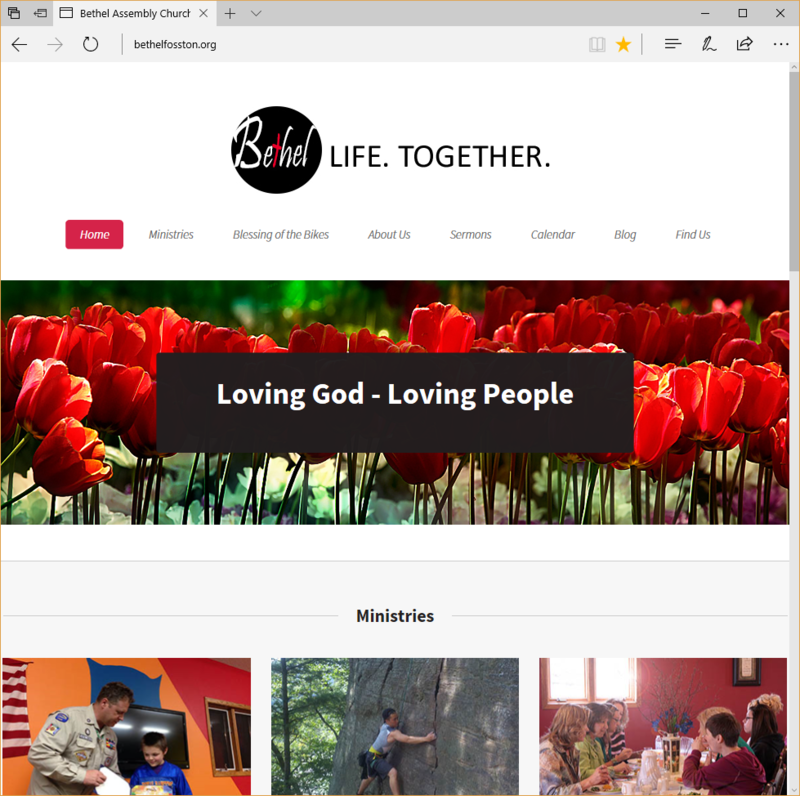 The church website is an important part of the communication strategies of the church. I was contracted by the church to create a website that is useful to church members and visitors. The website I created contains information on all of the ministries of the church, staff bios, embedded Google calendar, sermon podcasts, blog posts, a Google map showing how to get to the church and much more. The redesign also included creation of a new logo for the church. The logo builds on the church mission and vision and is centered on a red cross in the middle of the logo, formed by use of a red “t”. Michelle has done a great job on our website! Her attention to detail is excellent, she makes sure information is current, and she’s extremely efficient with changes that need to be made. She keeps the content of the site fresh, updating pictures and layouts frequently to ensure it doesn’t feel stale. She designs carefully, and puts thought and effort into making sure our site is sharp looking and user friendly!